You DO NOT have to purchase a drum kit! Beginning students can learn with a drum pad and sticks for about $25 - 40.00 . You can also purchase an electronic set at head phones for practicing at home!! 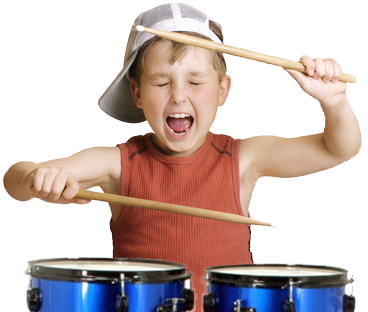 Our drum teachers understand that every student is an individual, with personal needs and goals. We make it a priority to tailor how we teach and what we teach to your individual needs! If you enroll here for lessons, your teacher will ask you about your favorite type of music, and set goals to help you accomplish whatever musical aspirations for yourself or your child. Together, you will develop a plan to achieve your goals! We love beginners, so even if you don't know where to begin, we can help! We teach all styles of music from rock, pop, country, jazz, classical and more! We combine the important fundamentals with the music YOU want to play.